In the U.S. and many other parts of the world, wind turbine “farms” have become common sights. 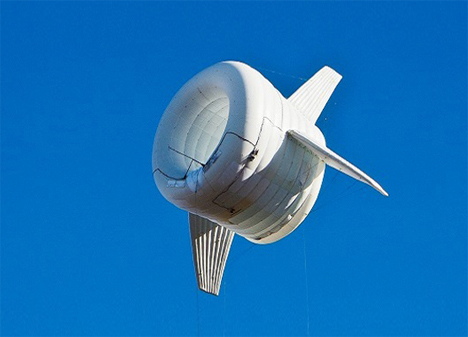 MIT startup Altaeros Energies is taking wind power in a completely new direction with a helium-filled wind turbine that will harness wind power from 1,000 feet above the ground. 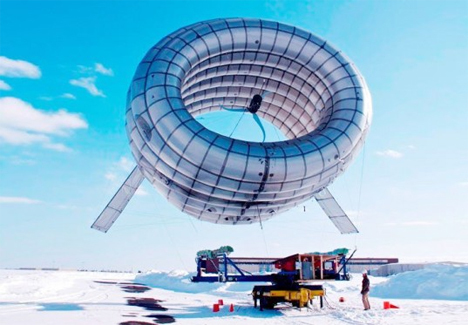 The turbine will float above Fairbanks, Alaska for 18 months, providing power to a small number of homes that are currently not on the electrical grid. At that altitude, wind speeds are five to eight times more powerful than those nearer the ground. Floating turbines like Altaeros Energies BAT (Buoyant Airborne Turbine) can produce twice as much power as their earth-bound counterparts. The floating wind harnesses have a wide potential far beyond just producing electricity; they could also be used to provide data and cellular service in otherwise-inaccessible places. Floating turbines can also be quickly deployed to disaster sites to provide much-needed communication even when the traditional infrastructures are not functional. For this initial experiment in Fairbanks, Altaeros has been awarded a $1.3 million grant to test, refine, and further develop this very promising concept.